Who knows if perhaps you were made queen for just such a time as this? 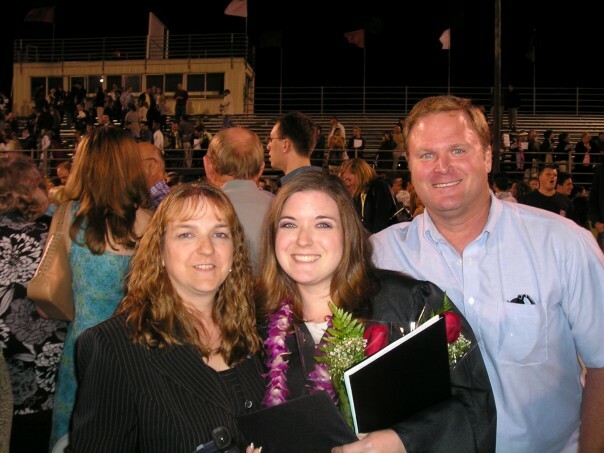 I began my collegiate experience at Azusa Pacific University fourteen years ago next month, pursuing a degree in vocal performance with a Spanish minor. I realized only one semester into the program that majoring in music would be a terrible thing for me to do – not because I wasn’t talented enough to make it, but because I was already extremely critical of music and musicians, and I knew that studying it intensely would likely take the joy of music away from me. This probably isn’t true for most music majors, but I knew it would be true for me. My passion for politics was instilled within me by my family – namely my dad and his dad – and by the movie The American President. It was that movie that introduced me to the idea of lobbying. 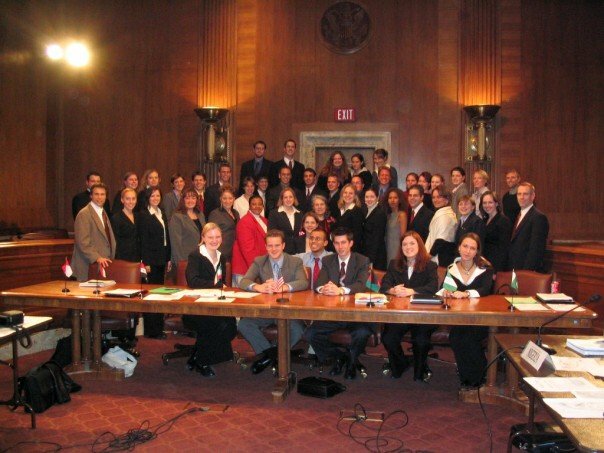 My passion was further reinforced the summer after high school by the self-arranged internship with a Christian/family values lobbying firm I had the privilege of having, as well as an amazing mock legislature camp I attended called City on The Hill. 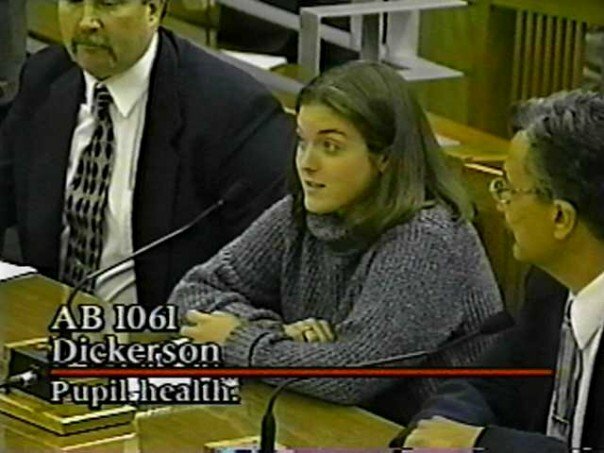 Those six weeks in Sacramento were eye-opening and provided me amazing opportunities, such as testifying on a bill in front of a committee. I was able to actually lobby for/against bills and I loved it. So, after I dropped my music major and Spanish minor, I decided to change my major to political science and my minor to history. I don’t remember the specifics of how I chose them – it just made sense at the time. 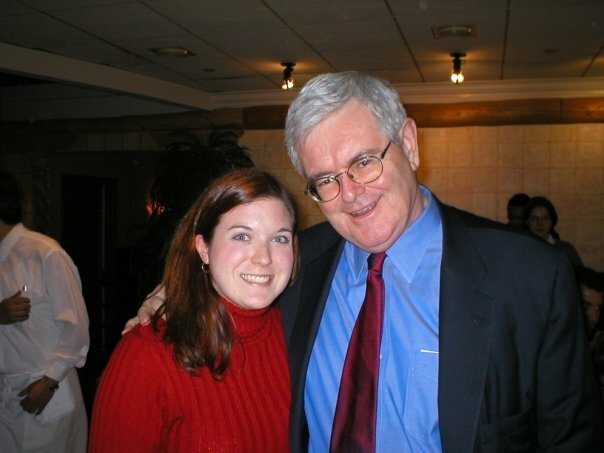 During college I worked on – and even ran – campaigns, I studied in D.C. for a semester and interned for Newt Gingrich, and I excelled in all my studies. 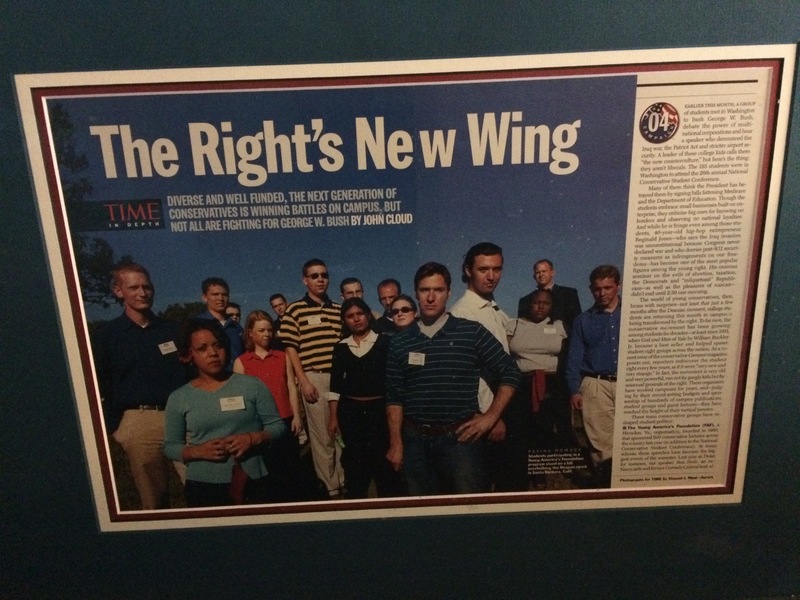 While at campaign training at Ronald Reagan’s Ranch,in 2004, reporters from TIME Magazine were there and the photo of our group on Reagan’s helipad ended up in the magazine​ (though the article is not about us or what we were doing at all). 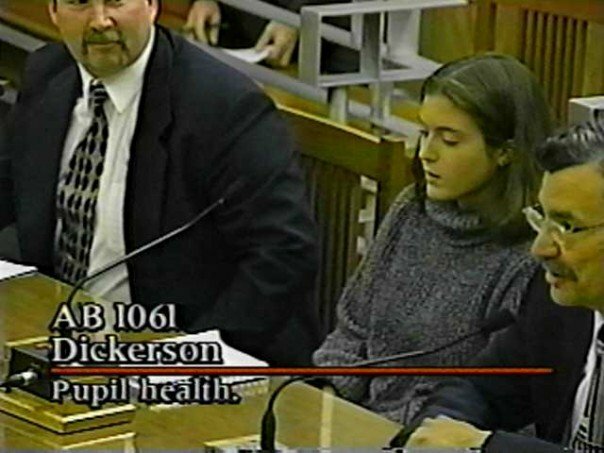 I was known by my friends and family as the future Governor of California. 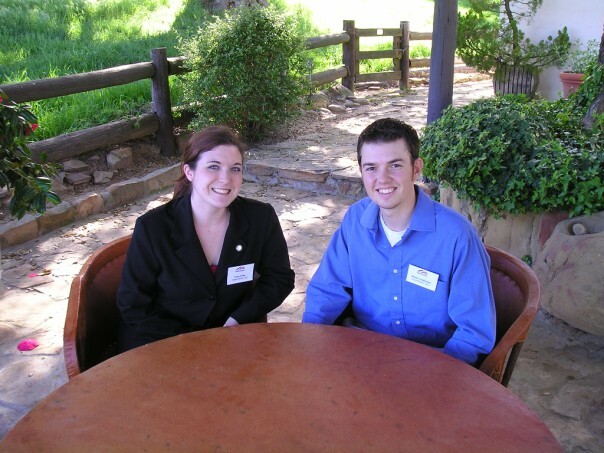 I had plans to run for vice-president with a friend of mine in 2028 (we even had a website!). This seemed like the path I was meant to take. I graduated with a Bachelor of Arts degree in Political Science in May 2005 and was ready to take on the world. During my senior year at APU, I had the opportunity to take the StrengthsFinder test and was amazed at how well it described me. My number one strength? Belief – I must be passionate about what I am doing. I have learned that if I am not passionate about something I will lose interest and be ineffective. This is why I play seven instruments – I would get to a certain level, get bored, and move on. StrengthsFinder explained so much about who I am and I use the results to this day. When I made the decision to move to Harrisburg in March 2008 (after six months of prayer), I began making connections with lobbying firms and eventually landed a job with one. I was so excited – finally on the way to doing my dream job! Except it wasn’t my dream job. My boss was difficult and seemed to be impossible to please. The subject matter of our lobbying was not something about which I could even force myself to be passionate. And I never got the opportunity to try actual lobbying. I tried to do my best in my position, but I struggled. I was forced to quit less than a year later and I felt so relieved! But, that year in politics showed me something else, too: I didn’t want to do it anymore. As a conservative Republican (who is becoming more Libertarian as time passes), the political climate has become brutal in many ways. I began to feel almost persecuted for my beliefs and it made me tired. Since then, I have largely ignored the political arena except for glancing over headlines to know a little about what is going on. I just don’t have the energy, especially now with Tori being sick. I am a completely different person than I was fourteen years ago. Those who knew me then have been surprised to see me almost running away from politics when all I wanted back then was to be in office. In the past few years, I have often wondered if I studied the wrong subjects in college, if I wasted my time getting a degree I would never use – a degree for which we are still paying. My time at APU was well-spent, though, as it made me who I am today in so many ways, and I still love my alma mater, even if I don’t use my degree. Tori is diagnosed with Krabbe; our baby is dying of a disease that could have been treated if they had found it at birth. We find out that only two states actually test currently (NY and MO) and only a handful more have legislation in place to eventually test. Rare shouldn’t mean ignored. Rare shouldn’t be tossed aside because it isn’t common. Every life matters. A few months ago it occurred to me that maybe this is why I have the degree that I have; that maybe everything has prepared me to lobby for lysosomal storage disorders like Krabbe to be screened for at birth. I don’t have any plans to jump in yet – Tori is my first priority. I don’t even know what it will look like if this is my calling. I am certainly not the only one fighting for this and I won’t be the last. Most Krabbe families are very active in pursuing legislation in their respective states, and Hunter’s Hope works fervently for this cause. But, I can’t let my education, career experience, and my own personal connection to this go to waste if it can all be used for a greater good and ultimately save lives. I am passionate about Tori. I am passionate about how much I hate Krabbe. I hate what Krabbe has taken from our daughter, and I hate that it will likely take her from us. So, fighting for Newborn Screening would come naturally to me – the passion and fire are there and they will never be extinguished. Do I want to re-enter politics? No way. Do I know the game? Yes, I do. Do I think I could be effective? With God’s help, yes. I don’t know what God has planned, but I do know that He doesn’t waste experiences. Everything can be used for His greater plan. And if this is what He has in store for me, then so be it. I’m all in. We are told as Christians to do two things: love God and love others. By focusing on those two things we will end up obeying the law of God and the law of man without even realizing it most of the time. There are many things that can hinder us from fulfilling this command, many things that can negatively affect our perspective and perception of others without us realizing it. In photography, the lens is how you see the world. The quality and integrity of the lens is crucial. Everything depends on the lens, even the quality of the final image. If your lens is cracked, smudged, or otherwise compromised, your image will be unclear or even indistinguishable from the view/reality you saw with your eyes; your perspective will not translate into a beautiful finished image like you had planned. It will be distorted. You will be disappointed, possibly angry, and unfulfilled. There was nothing wrong with the subject you were attempting to photograph, but the lens made it appear to be flawed. Similarly, forming a first impression of someone happens automatically. You meet someone, and based on the first few minutes of your interaction you form an opinion. Those first few moments do not provide insight into a person’s context, character, or true self. You merely catch a glimpse instead of knowing and understanding them fully. Once an impression is formed, overcoming that perspective can be difficult no matter what experience may prove to be the truth. I mention these things because I have been pondering what the Bible has to say about bitterness, anger, resentment, and how those things affect our perception of people and circumstances. When we hold grudges and harbor bitterness, anything the “guilty” person says or does will be viewed through a cracked lens. The perspective will be skewed, and the relationship may be further damaged because we aren’t seeing things clearly. Perhaps this is why Jesus told us to resolve our issues with people directly and promptly (Matthew 18); to get rid of all anger and bitterness (Ephesians 4:31) ; to get rid of the plank in our eyes before judging the splinter in the eyes of another (Matthew 7:3-5); with these things in our heart, our lens is cracked and we cannot perceive the actions and words of people correctly and therefore cannot love them as we are commanded. When we are bitter, angry, or resentful we cannot love God and others the way He desires and commands us to do. We cannot fulfill our mission. Resentment prevents you from seeing situations clearly and in proper context. Resentment is a dangerous thing. Many times in my life I have seen the aftermath of built-up resentment that is never resolved biblically. It has split churches, destroyed friendships, and created friction in families. Someone can do something or say something to you with great intentions, but because you are harboring unspoken resentment and bitterness you will read between the lines in order to justify your feelings. We’ve all done it! Rather than going to the person as soon as the alleged offense occurs to find out their true intent and to clear up misunderstandings, you choose to remain silent and allow bitterness to eat away at your heart, all while pretending that everything is fine on the outside. Pride is a dangerous companion to resentment. Don’t let bitterness, resentment, anger, or irritation destroy you. Don’t let them destroy relationships or communities. The enemy LOVES when Christians do this! Don’t let him have the satisfaction. Consider the context: What is the person going through? If you don’t know, then offer grace and understanding instead of becoming angry immediately. Ask questions instead of assuming. Remember that no one is perfect, including yourself. Offer grace. Think about the true cause of the offense: why is it bothering you? Was your pride hurt? Always assume the best about the people you love and not the worst. Communicate! In person is the BEST way to do this, but if the other party won’t consent to doing so, make your written communication clear and your emotions known, remembering that words are powerful. Text leaves so much to the imagination and it can often make issues far worse than they were at the beginning. Talk about things immediately, don’t blindside someone years later. If the person matters to you, make the effort to humbly make things right. Put aside your pride. Don’t allow misunderstandings and misperceptions destroy relationships. Life is too short and too precious to allow bitterness and resentment to steal our joy. We are here on earth to love one another, to encourage, to build-up, to lead others to Christ. Resentment prevents us from fully loving God and others, and it lets the enemy win. Choose love, choose joy, choose humility. It’s worth it. A few months ago I made the decision to no longer intentionally drive above the speed limit (note: this only applies while driving in town…I know, I know…for some reason, the interstates are a separate thing in my mind which isn’t right, but that’s how it is right now… 🙂 ) because I realized that it is a sin. It’s become quite the “respectable sin” in our society, and I’ve become increasingly aware of it in my own life. I’m a California girl. Everyone speeds there. I lived in Southern California for seven years prior to moving to Pennsylvania, and there, if you don’t speed you get run over (on the interstates, at least). It became a way of life…but that is all changing now. Believe it or not, this didn’t start because of a speeding ticket (I’ve only had two in my entire life, and neither of them were recent). This started because we live on a road where the speed limit is 25 miles per hour. And there are great reasons for that speed limit: the road is narrow, it’s a neighborhood, there are children, and there are many hidden driveways all along our road. However, because people often use our road to bypass part of Hersheypark Drive, they are always flying down our road. Having lived here for six months now, it has come to irritate me greatly. It took me awhile to put words to my irritation, but here’s what it comes down to: disrespect. I felt disrespected by the non-residents flying down my road. This led me to realize that whenever we speed, we are being disrespectful both to the residents of that area AND to the local law enforcement officials…and to God. So, I decided to stop. I can honestly say that I’ve felt very isolated in my quest to obey the law. Related to number one, it is amazing how many times I’ve been passed in recent months…and it has been humbling. And it has surprised me, because the local police here in Harrisburg/Hershey are ALWAYS looking to catch speeders. Always. I think they’re bored 😉 But seriously, I didn’t realize before just how many people choose to disobey the speed limits continually. That’s an argument I hear quite a bit from those who choose to speed–that it saves them time. From my observations lately, unless you’re doing 100 mph, you will likely not save more than a couple of minutes. Yesterday I was passed by someone on a two lane highway who was in SUCH a hurry…we got to our destination at the exact same time due to lights and other cars ahead of him doing the speed limit. 🙂 And yes, that made me happy inside. Working on that, too. I’m sure there will be more lessons learned as I continue my quest to not speed…but this is what I’ve learned thus far. What a profound statement that encapsulates so many of the issues I see in the Church in America today…we are so focused on programs and entertainment rather than being missional and building the Church like Jesus did, and it is detrimental in so many ways. Simple is the way to go. We have to be willing to let go of “good things” to make room for what God wants to do. “Sacrificing the good for the great” is a phrase you will hear in our home quite often these days, because it has really challenged how we approach life and it’s helping us to learn to say “no” much more. It has helped us to look at our lives with a long-term perspective rather than focusing on the “instant gratification” that is so pervasive in our society. What does this currently look like in our daily lives? Sacrificing (insert item/activity here) for the “great” of being debt free in a year. Financial freedom will allow us to more freely serve God wherever He leads, so we’re running with “gazelle intensity” toward that goal. Sacrificing that piece of cake/junk food for the “great” of losing weight and being healthy. Sacrificing (insert activity here) for the “great” of having a strong and healthy marriage due to time invested in each other. “Sacrificing” every other weekend to be relief houseparents at the Milton Hershey School for the “great” of investing in the lives of these precious children. Taking the time to evaluate where we are spending our time and money has really changed our perspective…and I’m really excited to see what God does as we continue to seek to serve Him more fully with our resources. In January 2011, I spent some time pondering what I wanted to accomplish during the coming year. I set a few goals that I successfully accomplished–being intentional about frugality, specific friendships, and a few other things. Intentional was the key word for 2011. And I believe that we succeeded. So, for 2012, I wasn’t sure what I wanted to focus on at first…until Jon Acuff, a great author and speaker, issued a challenge to his readers called “Finish Year”. Essentially, he discovered that while he is great at starting things, he never finishes anything, and he challenged us to make a list of things that we want to finish this year. This really resonated with me, and I began thinking/praying through what I want to finish this year. Brennan and I have also set joint-goals of things that we want to finish together. I am going to try to blog at least once a month with my/our progress for accountability purposes, and in hopes that this will encourage someone else to finish something. If I successfully accomplish these goals, I will add more throughout the year…but this is a good place to start. I have many more ideas that I can add! 2012 will be another year of living intentionally. We are going to be forced to become more disciplined in many areas of our lives once we are on a regular Milton Hershey School house-parenting schedule (every other weekend) due to the time commitment that ministry will involve, and I am looking forward to the challenge that will bring. Already, I know that this will mean less mystery shopping and (hopefully) a different work schedule to allow me time to take care of our home and various errands during the week more efficiently. This year will be another year of continuing to live frugally, as our goal is to have no credit card debt by the end of this year. The task is daunting and will require great discipline, but the freedom that will come from being debt-free makes it all worthwhile! God has abundantly blessed us and continues to provide for all of our needs, and we can’t wait for the freedom to give even more to provide for the needs of others! Gazelle intensity! I recently read that we can live with the pain of discipline or we can live with the pain of regret, and I’d much rather have the former. With discipline comes peace and joy, and that’s what my heart desires! As the Bible says, discipline isn’t always fun, but in the end it is fruitful. Most importantly, we want to remain intentional about keeping God at the center of our marriage and our lives, because without Him, we will fail miserably on our own. He alone needs to be our focus and our purpose! I got this book in the mail this afternoon, and I have already finished it. I couldn’t put it down. 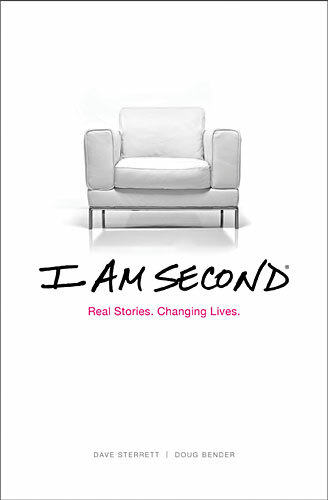 The book “I Am Second” is filled with stories of hope, of eventual joy and peace, and of the power of Jesus to change lives dramatically when we put Him first in our lives and make everything else “second”. I was absolutely intrigued from cover to cover. The stories are well-written and compelling, and they are all so unique not only in their circumstances but in their diversity of characters. Some are famous, some are lesser known. Some are athletes, and some are ministry leaders now because of their life stories. All of the stories point to Jesus and His transformational power that is astounding. One story in particular that really spoke to me was the story of Jeff and Cheryl Scruggs–a couple who got divorced, found the Lord individually, and eventually remarried. What a powerful example of God’s incredible life-changing power! By reading these very real, very honest stories, God’s strength, love and power is made so evident; my heart was filled with hope, with love, and with awe at the God of the Universe who loves us so much that He brings us out of our despair in order to bring us freedom. His grace is abundant! I used to be so good about blogging and journaling. I’m not sure what has changed, or why I’ve found it so easy to just not write at all. However, I realize that it is an important exercise and I need to be writing things down so that I don’t forget what has happened. Life has been GREAT. Not challenge-free, of course, but truly great. We can’t complain. Most recently…we got nearly 10 inches of snow this past weekend. The last time that our region had an October snow was in 1972, and they received 2 inches. So, to say that this was record-breaking is an understatement. I’m having a hard time thinking about winter coming, so I’m not going to take the next few weeks of 50-60 degree weather for granted! Here in Hershey we are definitely ready for “normal” weather for our area…not 70+ inches of rain in a year! Brennan and I are LOVING living in Hershey. We are SO close to work, we have great neighbors, we love our new place, and it’s been an absolute blessing to live here already. It’s amazing how God brings us exactly what we need! We are five days away from celebrating our first anniversary…and I am amazed at how this year has flown! A year ago, I was in Red Bluff, crazy busy, just ready to be married and have the wedding planning/executing over and done. Now, we are happily married, enjoying every day, and are SO thankful to be done with wedding craziness! 🙂 We’re celebrating our anniversary on Friday/Saturday by staying at a very nice place, and we will eat our (currently frozen) cake and sip our apple cider (from the wedding) on Sunday. It’s going to be a restful, wonderful weekend, celebrating the blessings of our loving Lord who brought us together! We are praying through several decisions right now in terms of ministry opportunities, and it’s really exciting to see what God is bringing our way. We’re being very intentional about slowing down our schedule and spending more time at home, which has been very good for me. I’ve literally started writing down “stay at home” days on my calendar because I have a tendency to fill up every spare minute with some activity…and I’m worn out. It’s incredibly difficult, but I’m getting better at just relaxing at home every once in a while! Speaking of resting, I finally sought out medical assistance for my knee which was injured on November 20, 2008 in a car accident. I have an MRI on Thursday morning to determine the next course of action, which may be surgery if it is indeed a tear. God is in control, and we are trusting Him with logistics (living/working on the second floor, for instance)and finances! God is at work all around us, all the time, and I’m loving watching Him work. When I moved to Harrisburg in 2008, I never expected to find such diversity here in terms of people and countries represented. But, I am constantly finding out about other cultures who are making their home here–such as Haitian refugees, Burmese refugees, etc. And I love it! God is bringing people from all over the U.S. to Harrisburg to plant churches and to reach out missionally to these people, and I am excited for us to be part of this! Brennan and I are heading to California in January to celebrate Christmas…two weeks late. Why? Because we are saving $800 in air fare! It is incredibly expensive to fly anywhere at Christmas-time, but especially to California since it’s such a tourist destination. So, we decided to think outside the box and found tickets for $400 total roundtrip for BOTH of us! God is so good! I can’t wait to see my family! It’s been a great first year of marriage, and I can’t wait for each one to follow.